This super-simple fish curry is perfect for a quick mid-week meal (takes just 20 minutes), and tastes really delicious. Comprised of just a few ingredients, this one-pot curry always goes down really well in my home. In fact you can see just how much my little one enjoys it at the end of the video! Keep watching! Tandoori masala is also a fabulous spice blend. It includes all of your main spices, and a few extras, so is super charged with antioxidant and anti-inflammatory health benefits. The masala give the fish and potatoes a unique taste. Heat the oil in a frying pan and add the garlic. Sauté for 1 minute then add the tomatoes, ground tandoori masala, sugar and lime juice. Cook the sauce for 6–8 minutes until it reduces and thickens. While the sauce is simmering, steam the potato until tender, then set aside. Once the sauce has reduced, add the fish fillets. Cover the fillets with the sauce and simmer on low heat for a few minutes until cooked through and flaky. 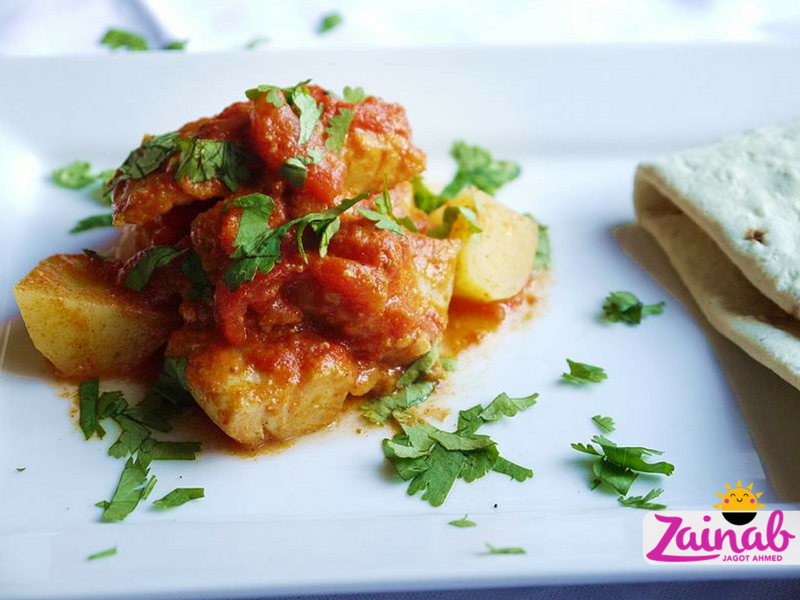 Once the fish is fully cooked, add the steamed potato to the curry and combine carefully with the sauce, trying not to break the fish pieces. Remove a serving for your baby and set aside. Stir salt and chilli powder (if using) into the main pan. Finish off the main adult serving and your little one’s serving with a sprinkle of coriander. Serve with roti or rice. 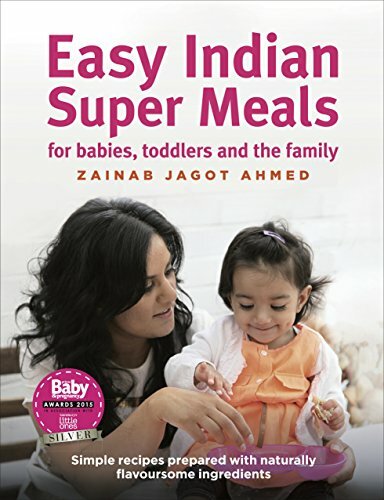 For toddlers you can also serve the fish as a yummy finger food, and use the tandoori masala as a yummy dip for the fish. 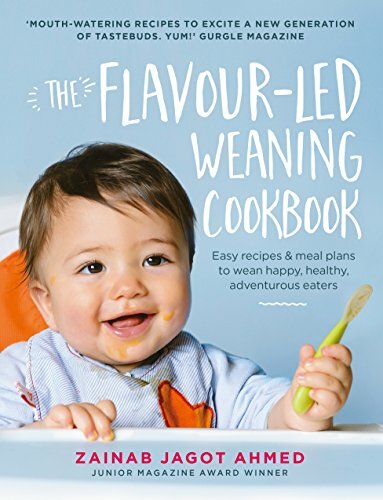 This recipe is taken from The Flavour-led Weaning Cookbook, available to order now from all good bookshops including Amazon.co.uk, WHSmith and Waterstones. Also available from Amazon.com.